Now that the warmer seasons are upon us it is the perfect time to give your home garden shed or log cabin some love before the inevitable long and harsh colder seasons come back around again. It’s vital to look after your garden building and below we have offered some advice on how homeowners can best restrict potential building damage. As a nation we have a passion for gardening and for those part-time gardeners the chance of having overgrown plants, shrubbery and branches is more than just a possibility, especially for those who have outbuildings where plant life cannot easily be reached to be maintained. As spring is coming to an end and the summer is fast approaching, it is vital any overhanging trees or hedge growth posing a threat to a garden building should be cut back as far as possible. In an ideal world plant life should be trimmed at regular intervals to best protect a shed. Failing to cut back big branches can result in unwanted contact with an outbuilding causing it to pierce the roof’s felt and encourage water ingress. Clearing away all plant life from the area will also discourage unwanted animals and pests like bees, rats, mice, rabbits to consider a shed or log cabin as a potential nest. Most growth can be cut-away effortlessly by either hand-shears or hedge trimmers, for the more serious and extensive overgrowth the use of a chainsaw will be warranted. Most overgrowth can be recycled in council supplied wheelie bins, however larger branches or stumps might need to be taken to a Waste Centre or professionally removed. If you have any comments or questions around general shed maintenance you can either visit the Tiger Sheds Help Centre or comment on the post below! 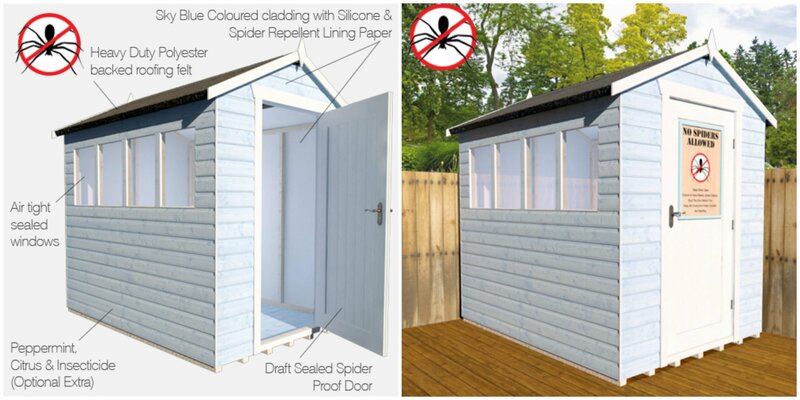 Does our spider-proof shed really work? 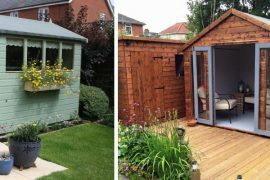 Does your garden shed need a little TLC?